Heat grill to 450 degrees F.
In a large bowl, toss zucchini, eggplant, and peppers in half of the olive oil. Season with salt and pepper. Grill the vegetables over medium heat until tender. Set aside on a sheet tray to cool. Once cool enough to handle, cut vegetables into 1″ pieces. 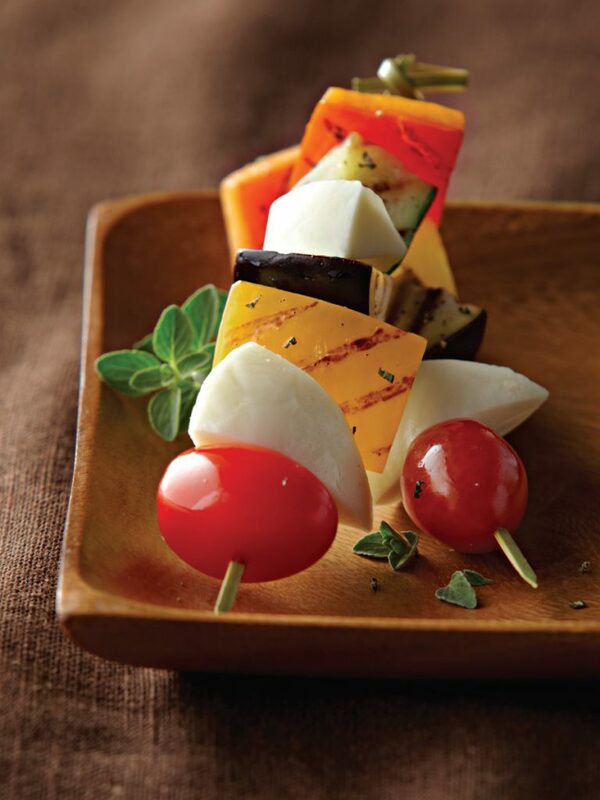 Assemble skewers by arranging one piece of mozzarella, one cherry tomato, and one piece of each of the grilled vegetables. Repeat until skewer is full. To serve, place skewers on a large serving platter and drizzle with remaining olive oil. Salt and pepper to taste, and garnish with fresh basil. 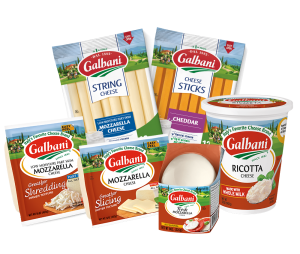 These skewers are not only a great family appetizer, they’re also perfect for cookouts or holiday parties. Feel free to substitute any seasonal vegetables you have on hand.